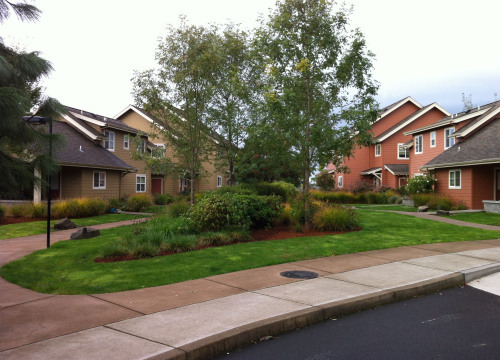 The goal was to plan a small cohesive neighborhood in northwest Eugene that would seem more like it evolved over time, and less like a typical development. 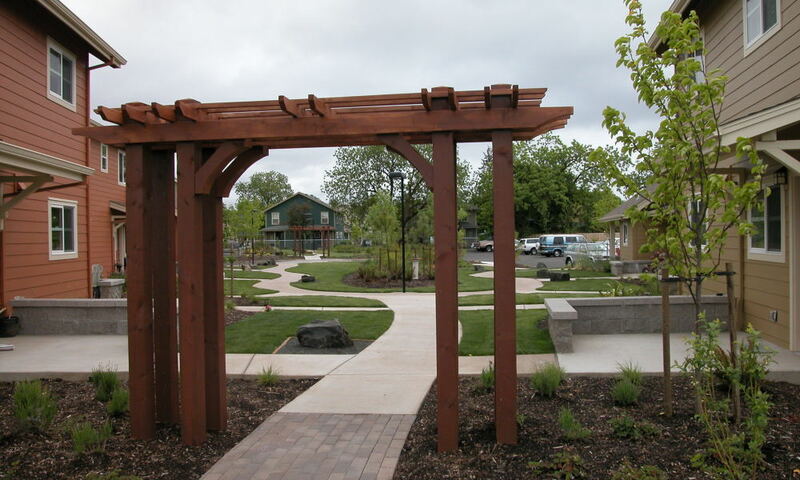 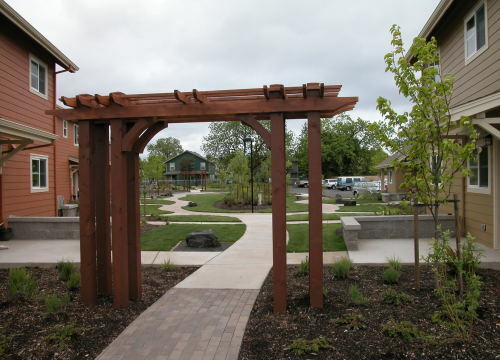 We worked with the city and the Housing and Community Services Agency of Lane County to design a village with both single and multifamily homes, a loop road, strolling paths, common areas and smaller private garden spaces. 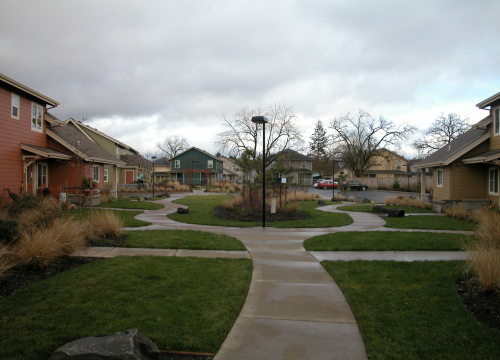 We spread parking around the site. 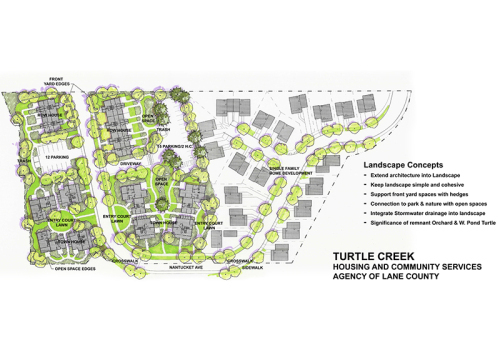 And we preserved turtle habitat, allowing the city to later develop a natural area known as the Turtle Creek Wildlife Area.